Filing your taxes can seem like a daunting task. Here are 7 things you should know when filing business taxes online. What are your tips to filing taxes online? If you’re like most, you’re probably wanting to make your money go farther, but alas, there are taxes to be dealt with. As much as we’d like to ignore them, they have to be paid. As a business owner, you should consider filing business taxes online. You have to be even more meticulous with taxes than individuals do, but with online filing, you can reduce the amount of paperwork you have lying around. If you’re an employer, you’ll need to handle certain taxes for each person you employ. If you are self-employed you’ll run into different requirements. Filing taxes on your own can be tricky, but it doesn’t have to be. As long as you know what you’re doing filing business taxes online shouldn’t be difficult. Would you like to successfully file your business taxes online? Read on for seven things you should know. Tax deadlines should be strictly adhered to by business owners. But don’t default to thinking your taxes are due when the rest of the population’s are. You may be surprised to learn that some types of businesses have different tax deadlines. April 15 is the general date for individuals to file, and that does apply to some businesses. But it doesn’t apply to all. If you’re a sole proprietor or single-member LLC, your tax filing deadline will be different than the one for partnerships or multiple-member LLCs. Be aware that your tax deadline may be earlier than the standard date. Plan ahead throughout the year so you won’t be surprised when the deadline arrives. If you pay estimated taxes, you must pay regularly throughout the year. You’ll make one payment per quarter. In order to make these payments on time, you must be aware of each year’s quarterly payment due dates. If you don’t pay estimated taxes, your taxes should be withheld automatically throughout the year. Missing tax deadlines results in penalties and fees. Since you don’t want to get hit with those, be on top of things and don’t file late. It’s awfully hard to file your own taxes when you don’t understand the tax lingo. 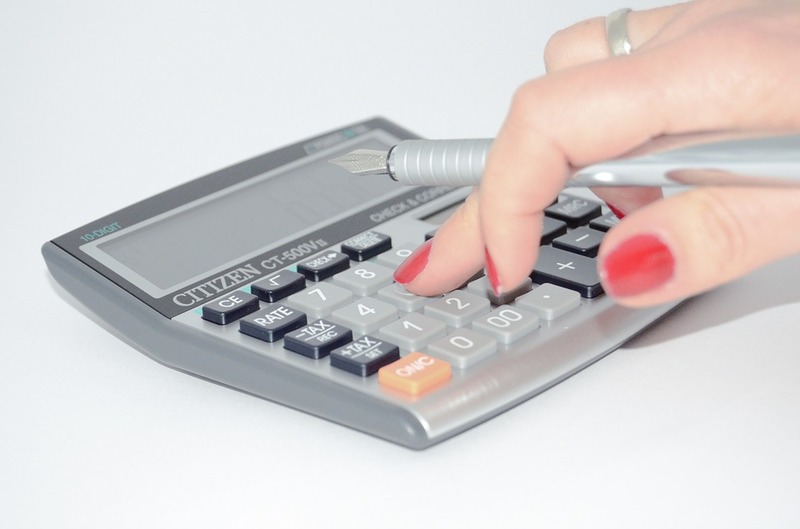 Business owners should be familiar with tax terms throughout the year and at tax time. This refers to taxes that are withheld from employees’ paychecks by the employer. You’ll do this throughout the year for both federal and state taxes. Tax credits are items that help you lower the amount you owe in taxes. Some credits are provided specifically by the government. For example, solar-powered businesses receive a tax creditfrom the federal government for helping the environment. Deductions also help reduce the amount of taxes you owe. They do this by lowering your taxable income. Throughout the year you can deduct certain things from your income, which lowers the taxes you’ll have to pay. Business expenses and charitable donations are common deductions. If you work from a home office you can likely deduct business expenses. Paper, printers, computers, and ink all fall into this category. If you bought it for your business, try deducting it. Business travel and auto expenses may also be deducted. Knowing your way around different types of tax forms is essential to filing your taxes correctly. You’ll likely need to understand more form types as a business owner than you would as an individual. When filing your business taxes you need to make sure you’re using the correct form. A sole proprietor must file Form 1040, along with a Schedule C. A partnership must submit a Form 1065. Corporations need to file either a Form 1120 or Form 1120S, depending on their type of corporation. Besides the form you submit as an employer, you’ll also need to understand the forms that deal with those who receive money from you. This must be done correctly if you want to have all the right information at tax filing time. W-4: Have all employees fill this out so you know how much tax to withhold throughout the year. W-2: This is the form you’ll send to the IRS and to employees to report the amount of taxes withheld from each employee’s income. W-9: If you provide income for any independent contractors, they must fill out this form to provide you with important tax information, including name, address, and tax ID. 1099-MISC: This is the tax reporting form you’ll send out to all contractors who earned $600 or more from you during the year. Keep track of each of these documents for every employee or contractor if you want to have an easy filing experience. Various options exist for paying your business taxes online. UltimateTax and other companies providing tax software may be a good option for you to consider. This may especially be nice if your taxes are a bit complicated. Talking to a professional can be very helpful, since business owners with employees are responsible for several taxes, including Social Security, Medicare, and Federal income tax withholdings. Research each option and go with one that you feel comfortable with. Online programs come with various price tags, benefits, and services. You can also skip the middle man and pay your business taxes directly through the IRS website. Their site provides many options for filing your taxes online. Before filing your taxes online, make sure you have the knowledge to do so correctly. Taxes can be tricky, and though filing online may be convenient, you want to make sure it’s done right. If you’re confused, consider using a professional. More than 1.2 million returns were audited in 2015, so it’s better to play it safe than assume you know what you’re doing. Understand your responsibilities as an employer. If you provide income to independent contractors, you’ll need to pay attention to each contractor and their earnings. If you’re self-employed you’ll likely have to pay self-employment taxes. Make sure you calculate these to the best of your ability and pay the estimated amounts quarterly. Prepare by looking ahead so you don’t miss any deadlines. If you’re confused about any aspect of filing your business taxes, you can still file online, but you should probably seek some help. Before submitting your tax documents, make sure all information is correct. You’ll likely have a lot more information to track when paying business taxes as compared to personal taxes. Know each employee or contractor’s tax identification number and double check that they are correct. Make sure names–including spellings–match Social Security numbers while you’re at it. Audit yourself to make sure all your calculations are correct. Do this when considering taxable income, withholdings, estimated tax payments, credits and deductions, and any other numbers that may be involved. Make sure your math was done correctly! You don’t want your return to have errors in it. Verify that all information is in the right place. Make sure everything is on the right line and that all required fields are filled in. You’ll also want to make sure that your bank information is correct so you can receive any funds that will be sent your way once you file. As you wrap up filing your taxes, don’t forget to keep all records associated with your filing! In general, tax papers should be kept for at least a few years. You’ll want to keep them around for your reference, as well as any audits that may come your way. You’ll also be glad you kept these around if any changes are sent to you after you filed your taxes. Keep these files organized and in an easy-to-access location. Also make sure they are secure since they’ll include sensitive information, such as Social Security numbers. For a less-cluttered way of keeping your tax records, consider saving digitized copies. Just make sure to save multiple copies or backup your records often so you don’t lose them accidentally. You want your business to run as smoothly as possible. With that comes knowing how to properly handle taxes. When tax time comes around you don’t want to be scrambling. Send out all required forms in a timely manner and organize all those you receive. Business taxes can be daunting since so many numbers may come into play, but filing business taxes online doesn’t have to be hard. Use an online program to help you organize and submit your taxes if needed, and follow the guidelines set forth by the government. As long as you understand the requirements for your business and keep things organized, filing your business taxes should be a breeze. Did you find this information helpful? Let us know by contacting us today!